I read my first actual science fiction novel around 1976. 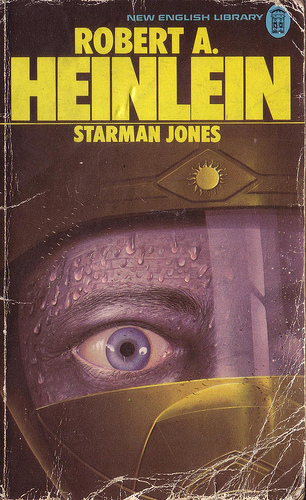 Prior to that I’d been reading Dr Who novelisations, but a lad in my class at school lent me a copy of Robert Heinlein’s Starman Jones. After that, another boy lent me some EE ‘Doc’ Smith, the Lensman books, I seem to recall (and probably some Asimov, although I don’t actually remember which ones). But during my early years exploring the genre I cottoned onto three particular authors: AE Van Vogt, James Blish and Clifford Simak. 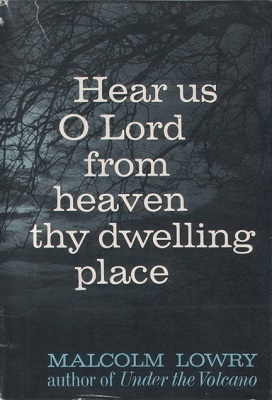 And the first books by those authors I recall reading were The Universe Maker, Jack of Eagles and Why Call Them Back From Heaven?. Actually, I may have read The Voyage of the Space Beagle before The Universe Maker, but something about the latter appealed to me more. Sadly, no women writers. A few years later I started reading Cherryh and Tiptree (and yes, I’ve always known Tiptree was a woman), but I suspect my choices were more a matter of availability – Cherryh was pretty much ubiquitous in UK book shops during the early 1980s. I remember a lad in the year below me at school reading Dune – that would be in 1978, I think – and it looked interesting, but it wasn’t until a few years later that I read it for myself. And immediately loved it. These days, my thoughts on Dune are somewhat different – it’s not Frank Herbert’s best novel, it’s not even the best novel in the Dune series (and we won’t mention the execrable sequels by his son and Kevin J Anderson)… but what Dune is, is probably the best piece of world-building the science fiction genre has ever produced. And then there’s Dhalgren, which I still love and is probably the sf novel I’ve reread the most times. It wasn’t my first Delany, but it remains my favourite. I still see it as a beacon of literary sensibilities in science fiction. Another discovery of this period was John Varley, whose stories pushed a lot of my buttons. His The Barbie Murders remains a favourite collection, and the title story is still a favourite story. Around this time one of the most important books to come into my hands was The Complete Book of Science Fiction and Fantasy Lists by Malcolm Edwards and Maxim Jakubowski. It’s exactly what the title says – lists of sf and fantasy books and stories. But it was also a map to exploring the genre and, in an effort to find books and stories it mentioned, I started actively hunting down specific things I wanted to read. I was no longer browsing in WH Smith (back in the day when it was a major book seller) and grabbing something off the shelf that looked appealing. This was directed reading, and it’s pretty much how I’ve approached my reading ever since. 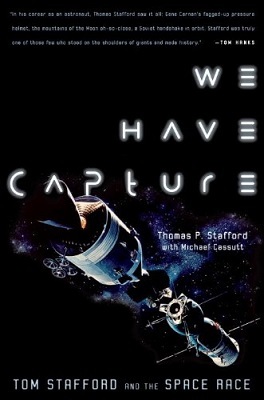 The next two books of the Apollo Quartet were driven by the their plots, inasmuch as their inspirations were plot-related, and the only books which fed into them were the books I read for research. But I should definitely mention Malcolm Lowry, who I’d started reading around the time I launched Adrift on the Sea of Rains, and the titles of some of his books – Hear Us O Lord from Heaven Thy Dwelling Place, Dark as the Grave Wherein My Friend is Laid – inspired the titles of books two and three of the Apollo Quartet. But when it comes to book four, All That Outer Space Allows, well, obviously, Sirk’s movie All That Heaven Allows was a major influence, but so too was Laurent Binet’s HHhH, which showed me that breaking the fourth wall was a really interesting narrative technique to explore. But there’s also Michael Haneke’s film Funny Games, which inspired the whole breaking the fourth wall thing in the first place, and which led to me using art house films as inspiration for short stories, so that ‘Red Desert’ in Dreams of the Space Age and Space – Houston We Have A Problem was inspired by François Ozon’s Under the Sand, and I’m currently working on a story inspired by Lars von Trier’s Melancholia titled, er, ‘Melancholia’, and in which I take great pleasure in destroying the Earth. Despite all that above, there are authors whose works I read purely because I enjoy doing so. It’s true there might be a bit of DH Lawrence in All That Outer Space Allows, but if I had to pick a favourite Lawrence novel out of those I’ve read I’d be hard pressed to do so. I’ve mentioned Lowry already – for him, the one work I treasure is his novella ‘Through the Panama’ which appears in his collection Hear Us O Lord from Heaven Thy Dwelling Place. And with Karen Blixen, AKA Isak Dinesen, a new discovery for me and becoming a favourite, it’s her novella ‘Tempest’. But I don’t think she’s going to influence my writing much. Neither do I think the writings of Helen Simpson or Marilynne Robinson will do so either, although Simpson has paddled in genre. And much as I admire the writings of Gwyneth Jones, Paul Park and DG Compton, their writing is so unlike my own, their books are just a pure reading pleasure. Jenny Erpenbeck, on the other hand, I think might influence my writing, as I love her distant tone. And while I love the deep personal focus of Hanan al-Shaykh’s novels, she’s reading for pleasure. To some extent, I think, I treat books like movies. There are the disposable ones – commercial sf, in other words; and you can find many examples on the SF Masterwork list, which is more a reflection on the genre as a whole than it is on the SF Masterwork list. But I much prefer movies from other cultures, and while science fiction scratched that itch to some extent, even though its cultures were invented… the level of such invention wasn’t especially deep – and if I get more of a sense of estrangment out of a novel by Erpenbeck, a German woman, than I do from any random US sf writer, I see that as more a flaw of the genre than of its practitioners. Happily, things are changing, and a wider spectrum of voices are being heard in genre fiction. Not all of them will appeal to me, not all of them will earn my admiration. But I wholeheartedly support the fact of their existence. 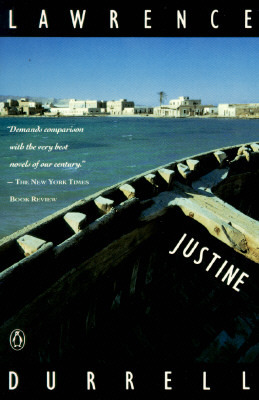 I do enjoy reading books like that but in the past I’ve had to read mainstream fiction – Mariama Bâ, Abdelrahman Munif, Magda Szabó, Elfriede Jelineck, Leila Aboulela, Chyngyz Aitmatov… as well as those mentioned previously. These are the books and movies which join my collection, and for which I am forever struggling to find shelf space. Categories: books, science fiction | Tags: abdelrahman munif, ae van vogt, andrew smith, anthony burgess, chingiz aitmatov, clifford d simak, cormac mccarthy, dg compton, dh lawrence, douglas sirk, ee doc smith, elfriede jelinek, françois ozon, frank herbert, gwyneth jones, hanan al-shaykh, helen simpson, isak dinesen, jed mercurio, jenny erpenbeck, john varley, karen blixen, lars von trier, laurent binet, lawrence durrell, leila aboulela, magda szabó, malcolm lowry, mariama bâ, marilynne robinson, milton o thompson, paul park, robert a heinlein, samuel r delany, sara paretsky, thomas stafford, wg sebald | Permalink. I saw Martin Lewis and Niall Harrison tweeting about this in response to, I think, this post from Aidan Moher. And since I love me a good book-related meme, I thought I’d have a go. It would have been too easy to pick the books I admire the most and claim they have influenced me in some fashion – which no doubt they have. But they’ve hardly directed my reading, or helped form my taste in literature, or shaped my conception of science fiction. Of the following five books, three I do indeed admire. But two are bad. They all, however, led to what I read and how I read it. The first sf novel I recall reading was a novelisation of Doctor Who and the Zarbi, which my parents bought me for Christmas. For years afterward, I received Dr Who novelisations for Christmas and birthday. I’d also buy them with my pocket money. I think I had about two dozen by the time I eventually grew out of them. However, the first proper sf novel I read was by Robert Heinlein. I remember it quite clearly. It was 1976, I was in Form 3A at prep school. A lad in the same class pulled a book out of his desk and gave it to me because he thought I might like it (I think we’d been discussing Dr Who or something). It was Starman Jones. I loved it. Later, a second former introduced me to the works of EE ‘Doc’ Smith, and from then on I was hooked on science fiction. And I’ve been reading it ever since – but not Heinlein or EE ‘Doc’ Smith. Some time during the mid-1980s, the family went on holiday to Paris. We stayed in a flat belonging to a director of the company for which my father worked. I vaguely remember buying an English book in a book shop somewhere in the city. It was Driftglass, a collection by Samuel R Delany. I bought it because I was reading The Ballad of Beta-2 / Empire Star, a Delany double, and I thought it was brilliant – especially ‘Empire Star’. Delany’s fiction showed me that sf wasn’t all Heinleinesque rational men heroes and Asimovian cardboard-cutouts characters, it didn’t have to privilege the central idea at the expense of everything else, it could be beautifully written. 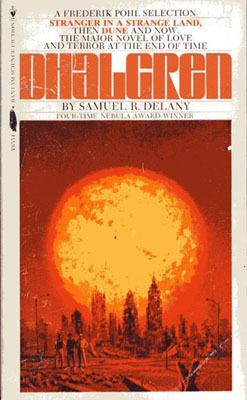 I was a big fan of Delany’s writing for many years, but nothing blew me away as much as ‘Empire Star’ had done… until I read Dhalgren. It was just so completely not everything I thought sf was – it was wilfully irrational, it was immediate and real and dirty, it wasn’t about manly, or intellectual, white men doing manly and intellectual things in space or on some alien planet… Dhalgren is still one of my favourite novels, and I’ve probably reread it more times than any other book I own – yes, even more times than Dune. I’ve never been a fan of Williams’ books, though I’ve read several of them over the years. I think Knight Moves might be the first book by him I read, however. It was published in 1985, and I’m fairly sure I read it in 1988. I’d joined the British Science Fiction Association that year, or perhaps the year before, and when Paperback Inferno – the BSFA’s paperback review magazine as was – put out a call for more reviewers, I volunteered. Andy Sawyer, the editor, asked me to send him a sample review, so I did a demolition job on Knight Moves. I can remember almost nothing of the book – except that I thought it was terrible – but as a result of my review of it I became book reviewer for the BSFA… and I’ve been reviewing books and commenting on science fiction ever since. I was only three when the late Neil Armstrong set foot on the Moon – in fact, the only Apollo mission I recall watching was ASTP in July 1975. But I was very much fascinated by space exploration as kid. I remember having a large poster of a Saturn V and an astronaut on my bedroom wall in Dubai. But then I become more involved in science fiction and lost my interest in science fact. Every now and again, I’d read something related to space exploration – one year as a Christmas present, I was given one of those big Octopus coffee table books on the topic; while I was living in Abu Dhabi, a local book shop stocked a number of Apogee Books’ NASA Mission Reports, and I bought several of them; I read At the Edge of Space by Milton O Thompson, about the X-15 programme, and found it surprisingly interesting. 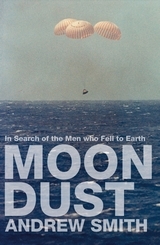 Then, five years ago I read Moondust. I no longer recall what prompted me to read it. But it re-ignited my interest in space exploration, and especially the Apollo programme. So I started buying books on the subject – often signed first editions. I created a blog, A Space About Books About Space, to review the books I bought. I built up quite a library – and it’s still growing – on human space exploration and spacecraft. And all those books have also come in really useful in my science fiction writing (just look at the bibliography in Adrift on the Sea of Rains). Categories: book list, meme | Tags: andrew smith, lawrence durrell, robert heinlein, samuel delany, walter jon williams | Permalink.